It was quite a sight. I know, I know. 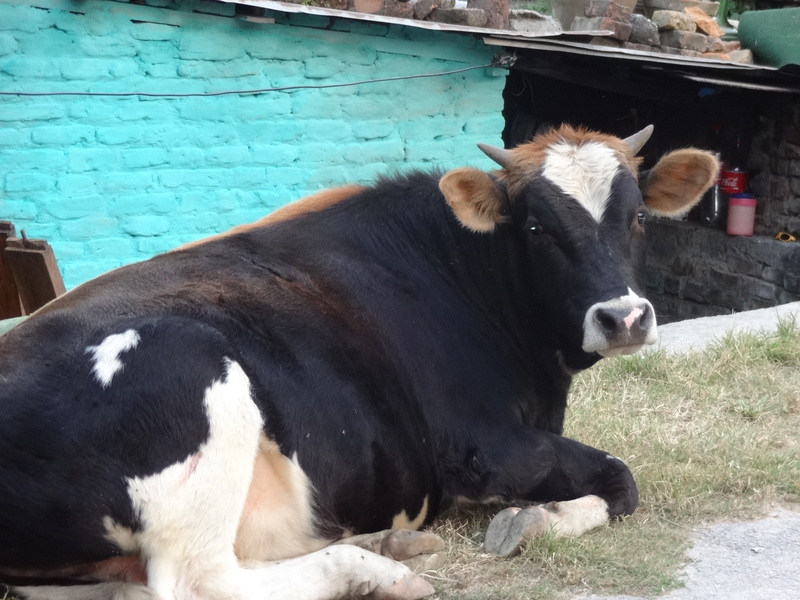 I have a bit of a cow theme going on this month…but who cares. 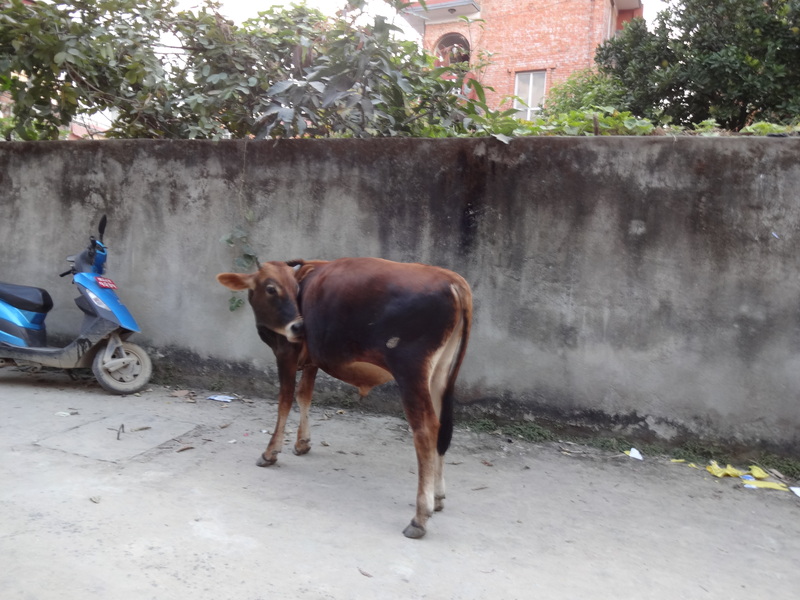 One day, I’ll stop noticing cows in the street and think its normal, right…? 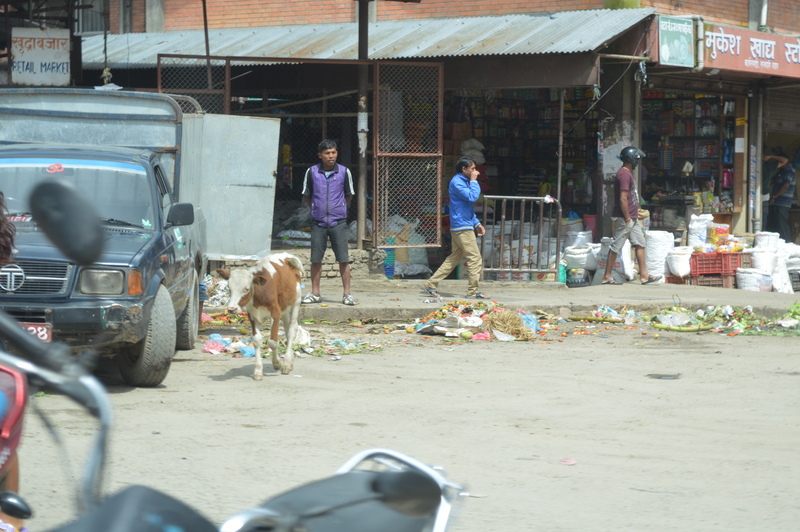 But for now I can’t stop marveling at the incongruity of having bovine vagabonds hanging out on street corners, rummaging through garbage and generally behaving like stray dogs. Its just weird and amusing. 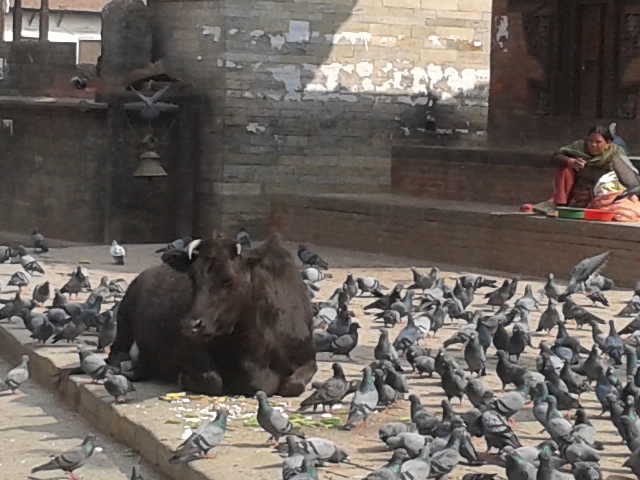 Here’s a few more that I have snapped on my travels around Kathmandu streets. All these cows and no McDonalds! Well those cows certainly look very healthy! Are they tethered during the day with their owners close by do you think? Well the interesting thing is that they aren’t tethered. 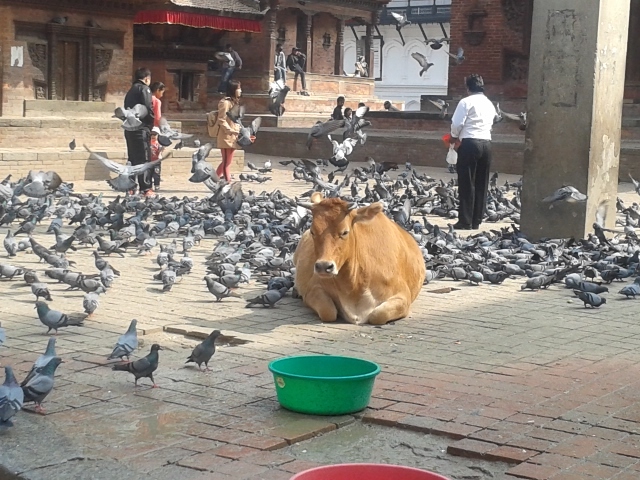 They just wander around the city doing what they please. Some of them may belong to people, and some of them are definitely stray. I haven’t really figured it out yet!